FloatHelm is software designed specifically for float tank centers, by a float tank center. "I have been very impressed with this system. I am SO HAPPY that we chose to use FloatHelm as our online booking system and back office!" "FloatHelm is an amazing program. The user experience is unparalleled to any other program I have used. Ever." Or get a live tour of the Helm and play with all of the features yourself. 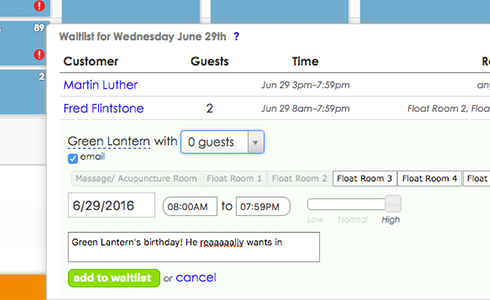 The Helm will run your entire float tank schedule, for both you in your shop and for your customers booking through your website. The focus is on ease of use. 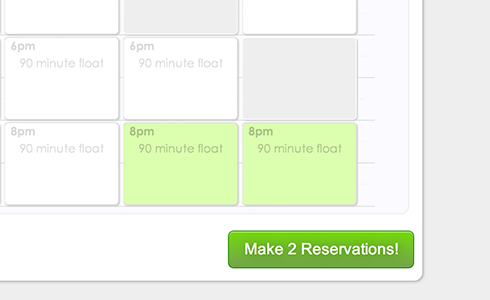 Your customers can hop online and book themselves floats with no more than a few clicks. And it makes life easy for you, too. The Helm will send email reminders, tell you how many floats someone has done, and take payments in a matter of seconds. Create a fixed schedule to maximize your capacity, or choose flexible booking to let your customers schedule themselves in whenever is convenient for them. The Helm allows you to take cash or credit card payments for everything in your shop, keeping all your finances in one place. We've taken care of the payment processing, and negotiated a bulk deal to keep your merchant service fees low. And it's all built with a focus on simplicity, so you can check out customers quickly and efficiently as they come in to float. Float tank centers have the interesting obstacle of only having one or two people on staff at a time. This makes any message about policy changes, maintenance changes, and everything else basically like a big game of telephone. With the use of logbooks, everyone in your company can talk together. In addition, everything on the Helm is commentable, naturally storing information in an organized fashion. Most importantly, the Helm sends all relevant information directly to you in a centralized notification center. No hunting around for messages, no being out of the loop, just the comfort of knowing that everyone in your business is on the same page. And with the Helm being entirely online, you can stay in touch with your business from anywhere. Tracking your float tank's chemistry is a complex task that needs to be done daily. This data adds up, and it can quickly become overwhelming. The Helm comes with a measurement tracking system, allowing you to log your float tank’s levels over time, see graphs of your data, and even export your measurements to present to Health Departments. The Helm even comes pre-set with all of the float tank metrics you will need to take and their ideal levels. 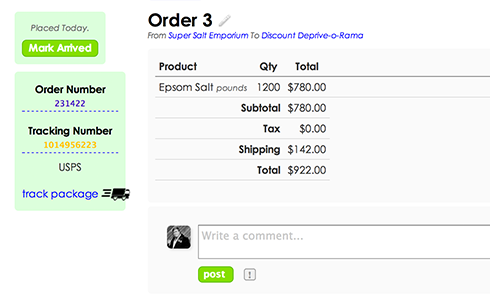 Having recurring tasks for your shop doesn’t have to mean recurring work for you. The Helm offers an innovative system of auto-generated tasks, letting you put your shop on auto-pilot. With the Helm you can set up all of your routine tasks to be created and assigned to people on a set schedule of your choosing. Create a weekly task for adding salt to your tank, have a list of nightly cleaning tasks pop up at closing time, and know who is completing everything as it's done. The Helm helps you keep your shop running smoothly, staying silent when everything is being done on time, and notifying you when things need your attention. 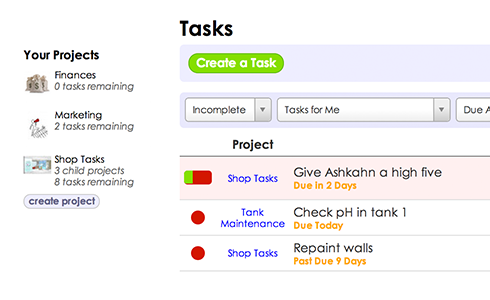 Our project management system is at the core of running an organized shop here at Float On. Everyone in your company can collaborate together in projects, allowing you to assign tasks to each other and talk about what needs to be done. You can set due date, create calendar events, and keep track of who in your company is doing what. The Helm even uses your IP address to show certain tasks only when you're logged in at your shop! And as tasks are commented on and completed, messages are sent to you to keep you up to date on everything that is going on. 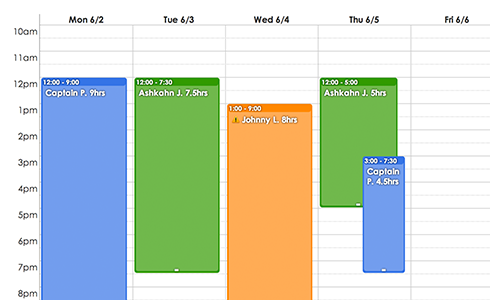 The Helm offers an easy to use shift calendar so that your entire employee work schedule can be online. Everyone in your company can put in their availability (including vacations) and the Helm will help you create a schedule to best meet everyone's needs. Employees can put up a shift for trade and others can claim it with ease, without you having to spend hours calling every person in your company to see who’s available. By combining the shift calendar with a convenient clock-in/clock-out feature, the Helm offers intelligent timekeeping. Employees are able to record their hours working the shop (or hours spent performing tasks on various projects) and the Helm organizes it to help you manage your payroll. The Helm allows your entire employee manual to be accessible, searchable, and updatable. There’s a lot to know to properly run a float tank center. 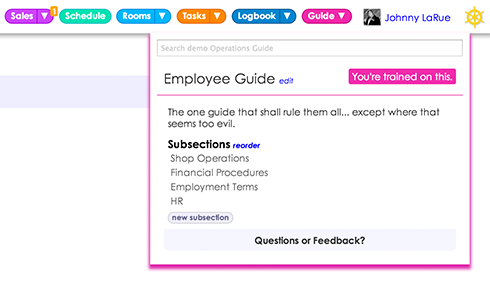 With the Helm, employees can easily view and search through your entire policies and procedures from the top of every page. The Helm also has a system of training built in, sending out messages and requiring employee re-reading and confirmation when a part of your employee manual is updated. With the Helm, you have the comfort of knowing everyone in your float center is always up to date and on the same page. Maintaining inventory and remembering to re-order supplies is one of the most tedious parts of running a business. The Helm works to remove this burden from your life by tracking your inventory for you. Just tell the Helm when you order supplies, and over time Helm will learn how quickly you use things, predict your current inventory, and let you know when it's time to order more. Your business is full of useful data, but for it to be helpful you need to be able to organize it. 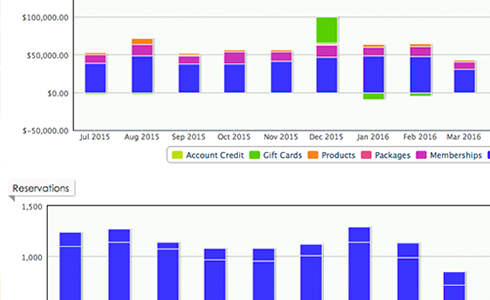 Helm's robust and lightning fast graphing system lets you play with your center’s information and see the direction your business is heading. Filter your customer list by how many times they've floated, look up how many tasks each employee completes on time, you can even analyze the levels of communication and involvement of everyone in your shop. The Helm gives you the power to systematically improve your business with the most important metrics for running your shop. Part of keeping your tanks at full capacity is dealing with late cancellations. The Helm makes wait list management simple. 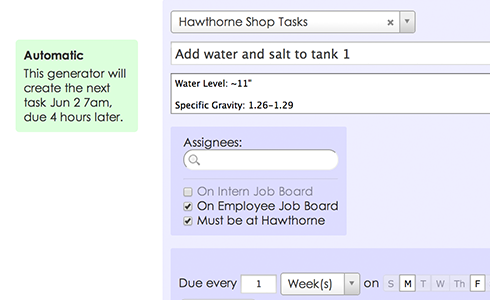 Just enter the customer's time, number of guests, and tank preferences, and Helm takes care of the rest. Helm monitors your schedule for appropriate availability and automatically emails or texts the customer, offering them the slots. 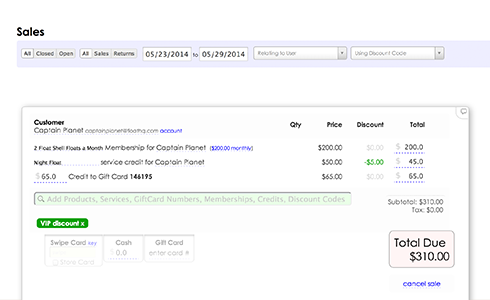 Customers can even add themselves to the waitlist online, freeing you entirely. Although created to run a float tank center, Helm takes care of all of your other services as well. 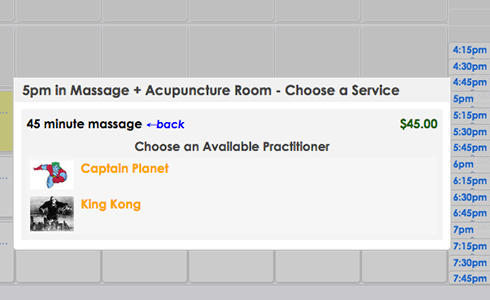 Helm handles booking and notifications for massage therapists, acupuncturists, and counselors. Helm also works great for unmanned services like cryotherapy, massage chairs, and infrared saunas. Helm is able to grow with your business and support as many locations as you establish. Customers and members can share their information and services between your centers. 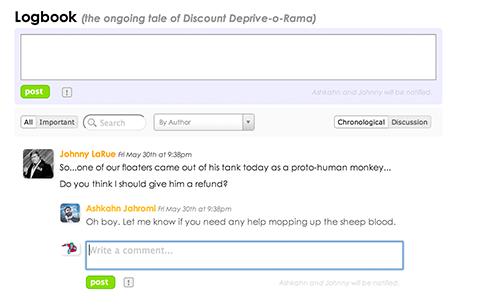 You can collaborate on cross-location projects, and even share staff members if you want. 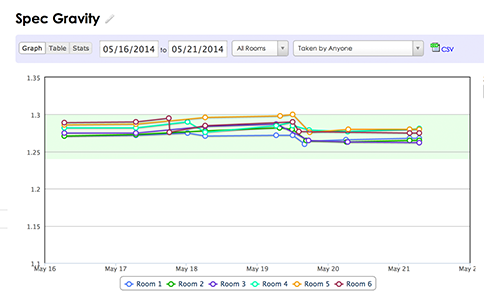 Helm even tracks what was sold at one location and redeemed at another, and helps with reconciliation. 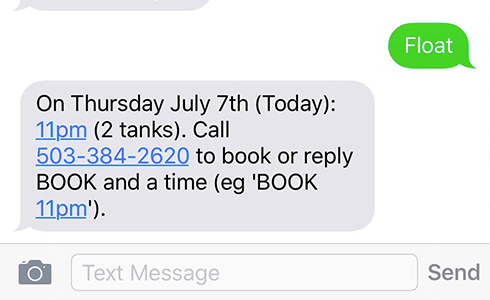 HelmBot is your 24/7 automated text message response service. Send HelmBot a "float tuesday?" and see the list of available slots. Reply "book 7pm" to grab yourself a much deserved rest. HelmBot lets you and your employees find the start time of your next shift, quickly add a task that you don't want to forget, and post an announcement to the shop's logbook. Plus, everyone's favorite party trick: send a free gift card by texting HelmBot someone's email address. If you’re on SpaB&ocy;&ocy;ker or Mindb&ocy;dy, we can import your data over, including your Customers, Sales History, Past and Future appointments, Memberships, Float Credits, and Gift Cards. You can even switch systems overnight, with no down time at all. Contact us to talk about importing your data. Running a business isn't all fun and games. But it is at least partially fun and games. Absurd mode is for when you just need a break from pretending to be an adult. 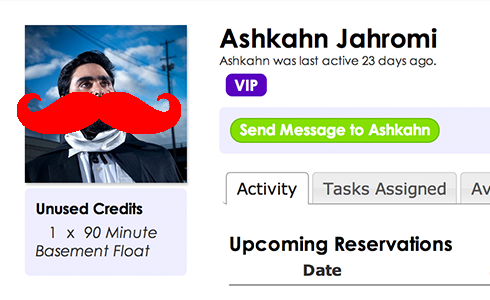 Click it on to complete tasks by blowing them up, draw mustaches on your employee's avatars, and play tetris with your float schedule. And when your business partner walks in the door, you can quickly turn absurd mode off, and the Helm will automatically reroute you to a page full of graphs so it looks like you were doing something super important.